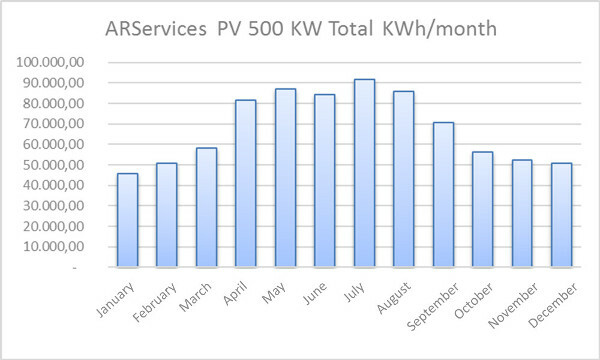 Cleaning of 2MW PV in less than 12 hours! 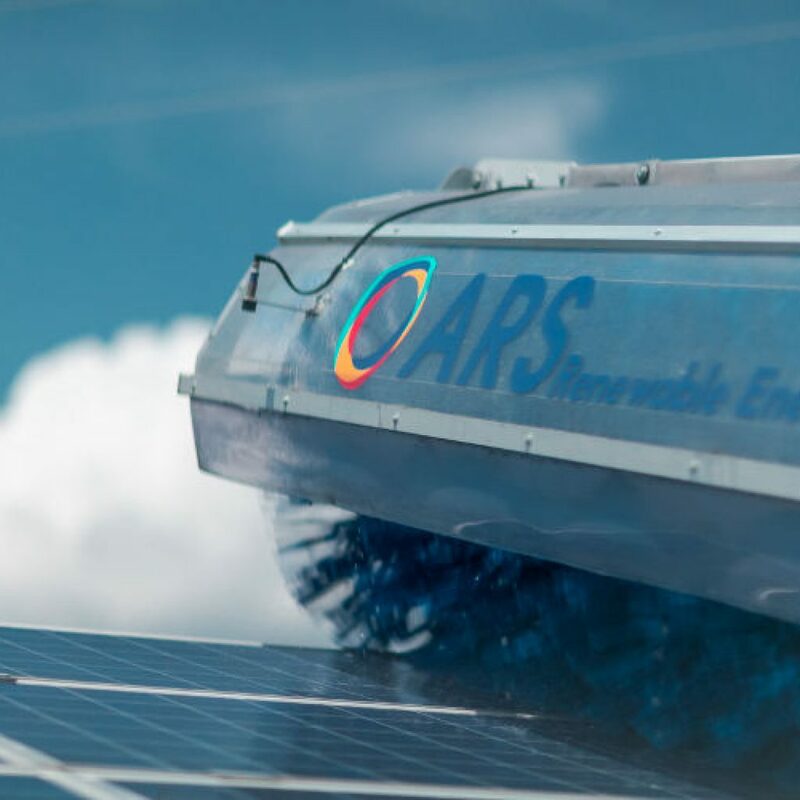 The ARServices company has invested important funds in the purchase of state-of-the-art equipment with a view to providing of photovoltaic panels maintenance services (O&M), with specialization in PV panels cleaning. 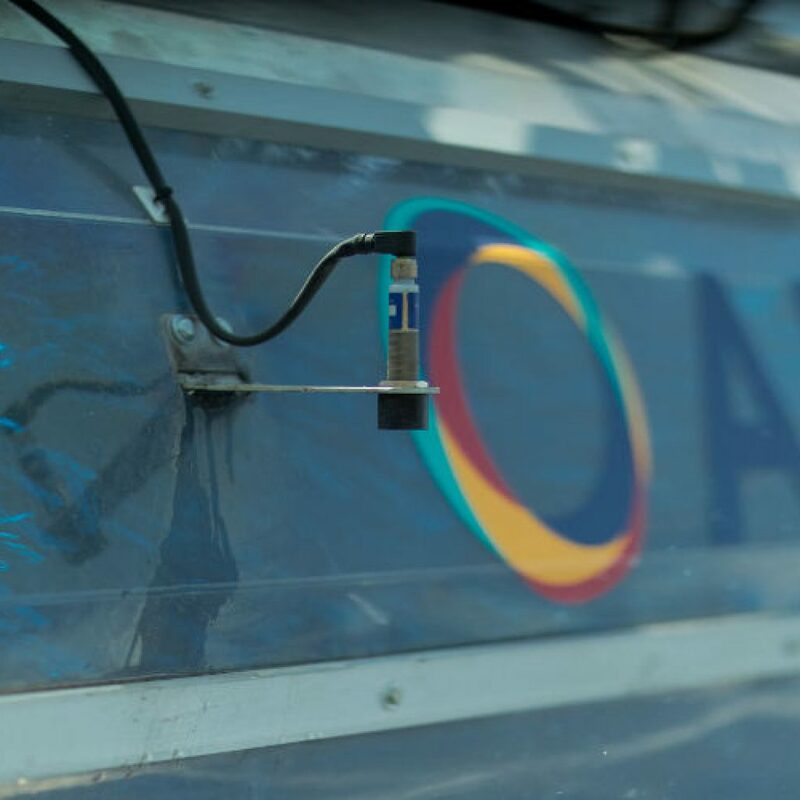 By implementing projects all over Greece, the ARServices is among the leader companies of this sector and has three stations in Achaia, Larisa and Xanthi. The company has four independent workshops, three tracked machines and a workshop with manual cleaning systems. These workshops are coordinated by a group of experienced engineers, which is in constant contact with the responsible of each project in order to assure the implementation of the operation in accordance with any standards or requirements. 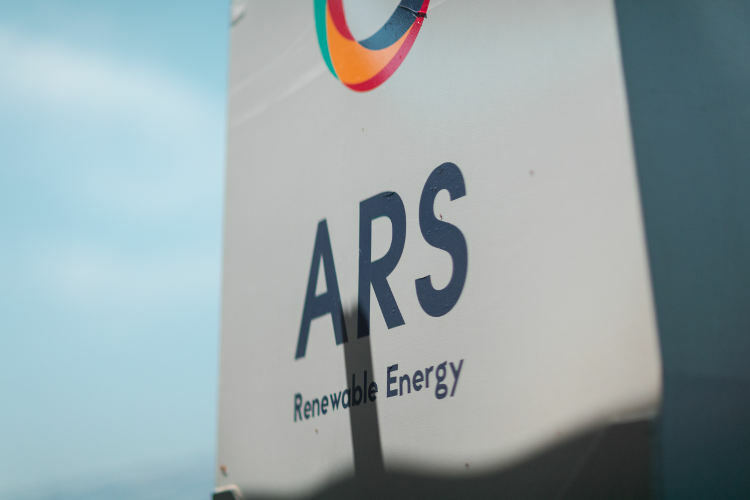 The ARServices pays particular attention to the quality, its services are certified according to ISO 9001:2008, while the company invests in the education and training of its statutory staff, so as to handle each project in a different way, based on its particular features. 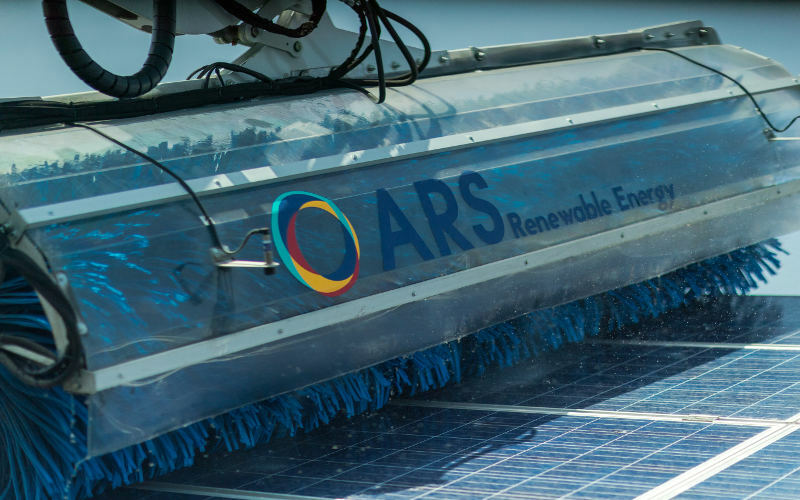 In the ARServices, we provide an integrated cleaning system of photovoltaic projects with modern methods and professional state-of-the-art machinery, which is specially designed for the panel’s surface cleaning. 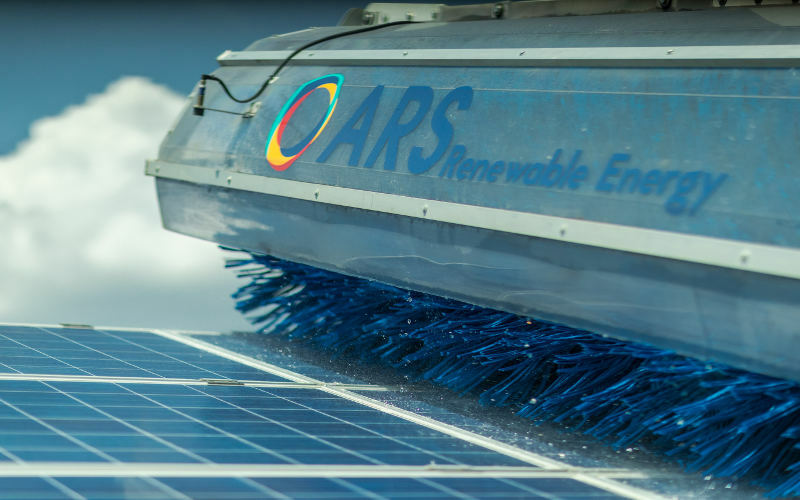 The ARServices company has fully automated cleaning systems for installation in the ground as well as manual systems for roofs and inaccessible areas. 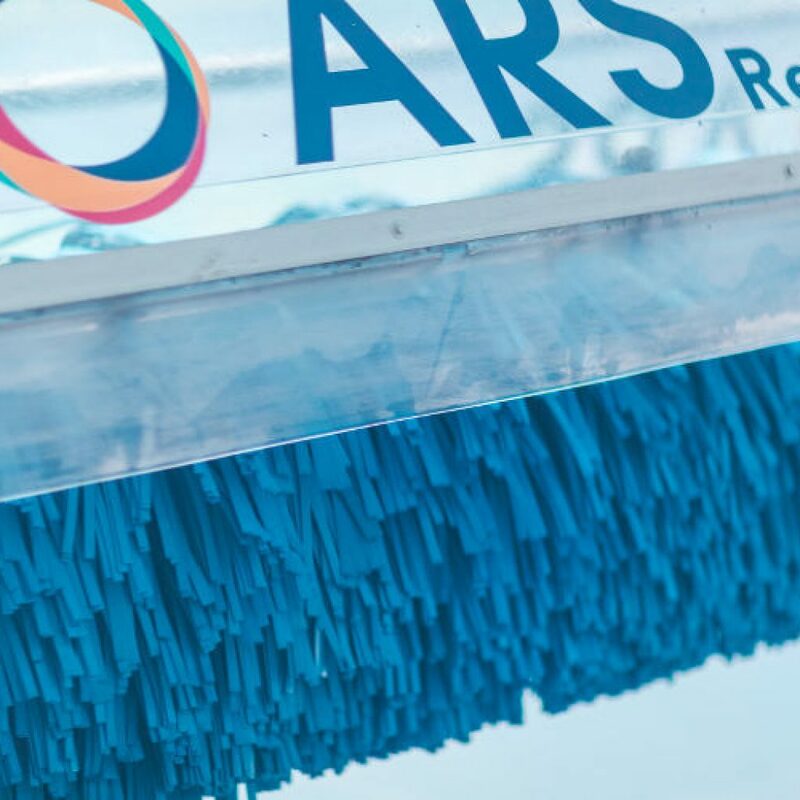 The rotation of the brush in the direction of machine’s movement removes directly the dust from the panels surface and in combination with the multiple injectors, the panels are rinsed, without leaving residues and causing damages. 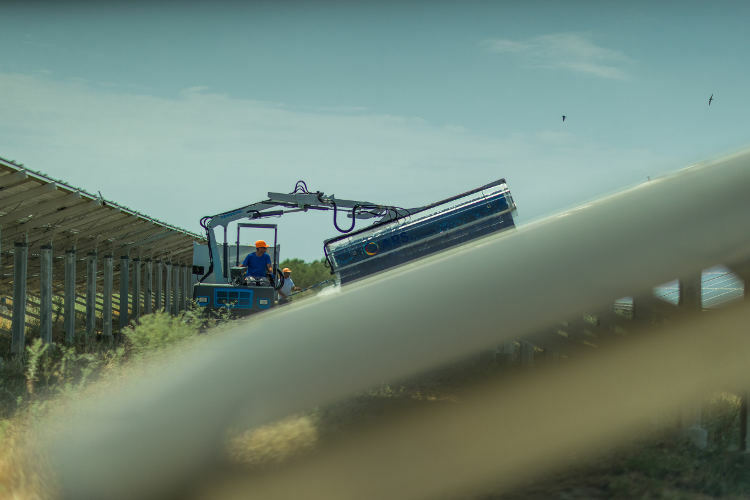 The machine preheats the water during the summer months in order to be able to wash during the day without affecting the mechanical strength and the photovoltaic panels outer film of crystals. 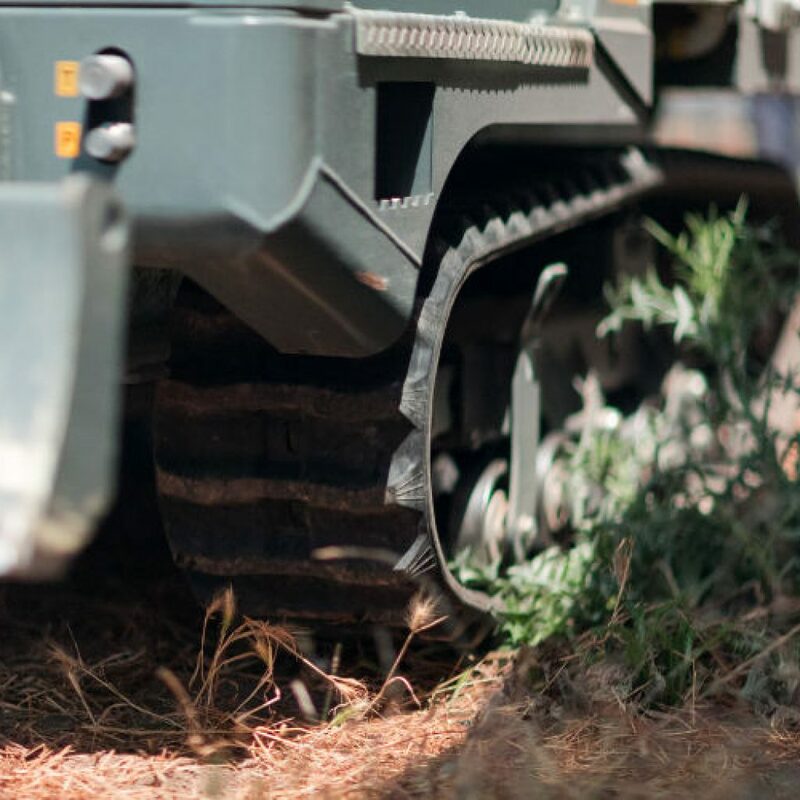 The soft material of the track does not damage the soil surface and allocates the weight of the machine without causing grooves as it is used by larger vehicles with wheels, and damaging the cables, which are spread below the soil surface. The thin and soft fibers, which make up the brush, glide over the crystal surface and clean without causing damages. The machine is equipped with a desalination system, which produces “very soft water”, according to the specifications of panel manufacturers (0-140 μS/cm). 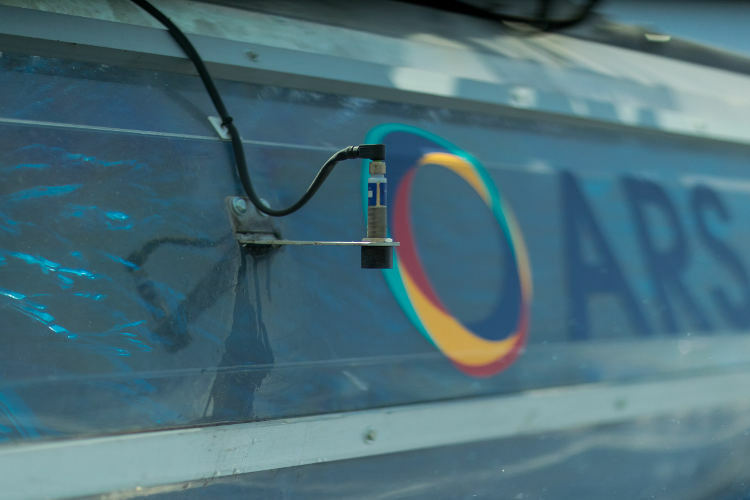 The fully equipped workshop of ARServices is able to produce high quality purified water (0-50 μS/cm). 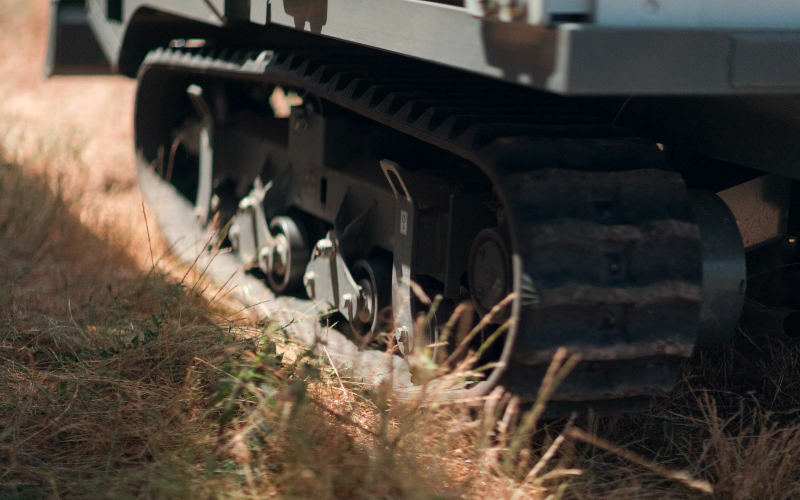 The machine size provides flexibility of movements within the installation. 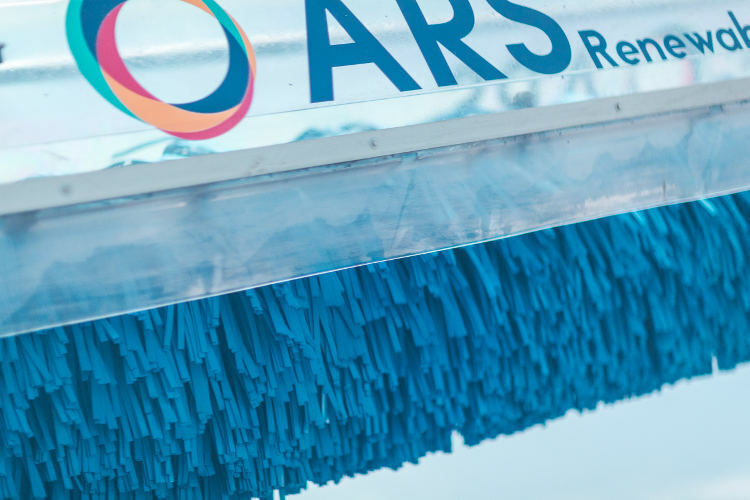 The long fibers of the brush (90cm) in combination with the sensors, that keep the arm at the constant distance of 65 cm from the panel, eliminate the risk of mechanical pressure on crystal surface. 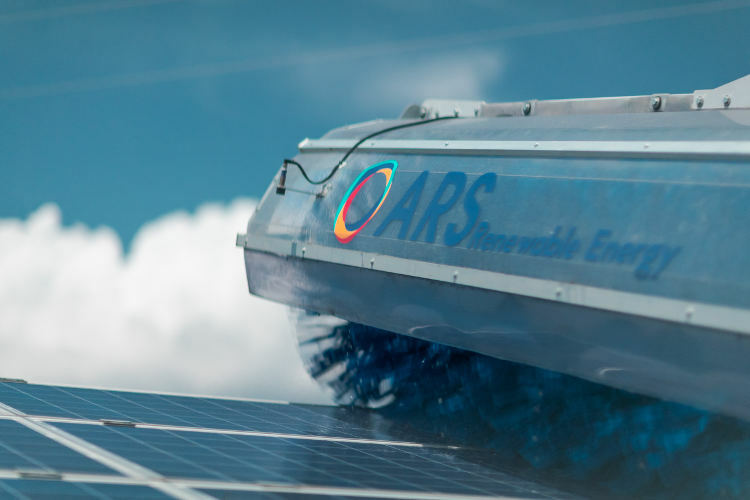 The water injectors provided by the rotary brushes of the ARServices machines, evenly spread the water on the surface of photovoltaic panels without exercising pressure and according to the guidelines of the largest photovoltaic panel manufacturers. 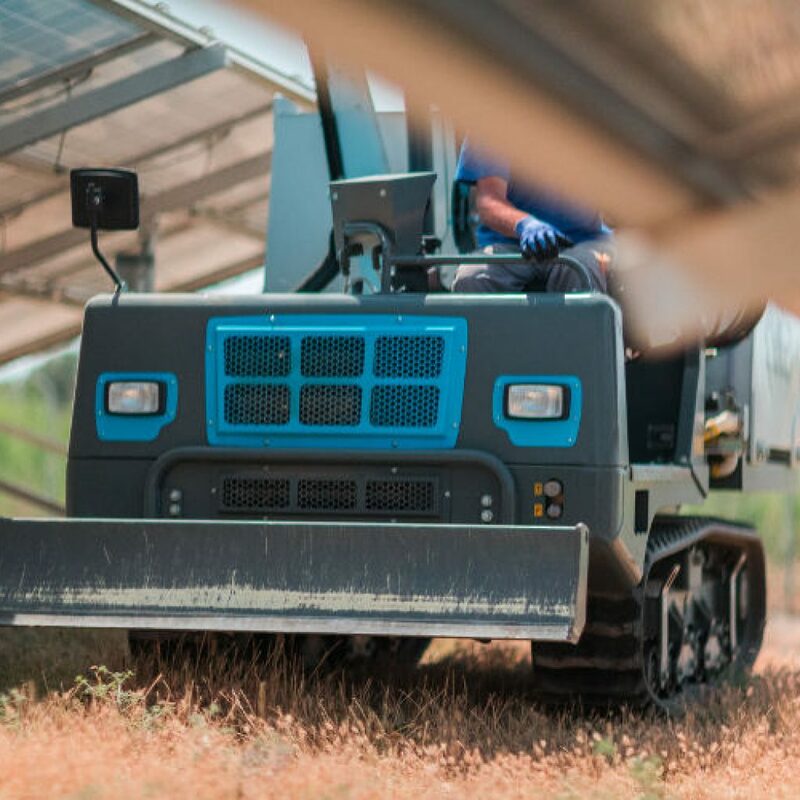 Each tracked vehicle can clean 2MW in less than 12 hours and its use concerns exclusively the cleaning of photovoltaic facilities. 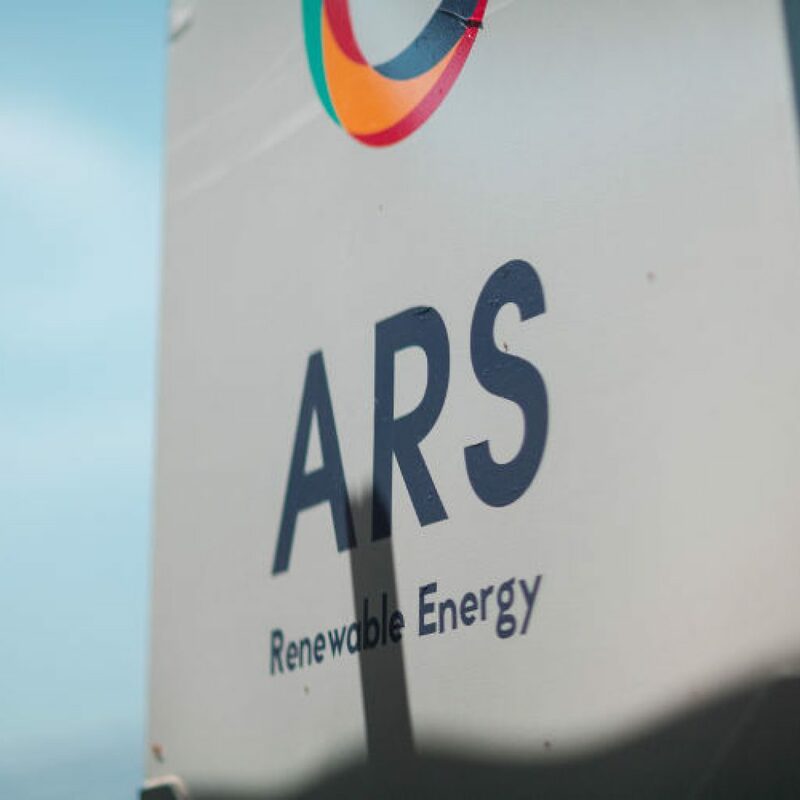 The ARServices invests in the proper training of its staff in order to understand the specific characteristics of the installations. The ARServices is certified with the International Quality Standard ISO 9001:2008 by TÜV Rheinland Greece carrier. 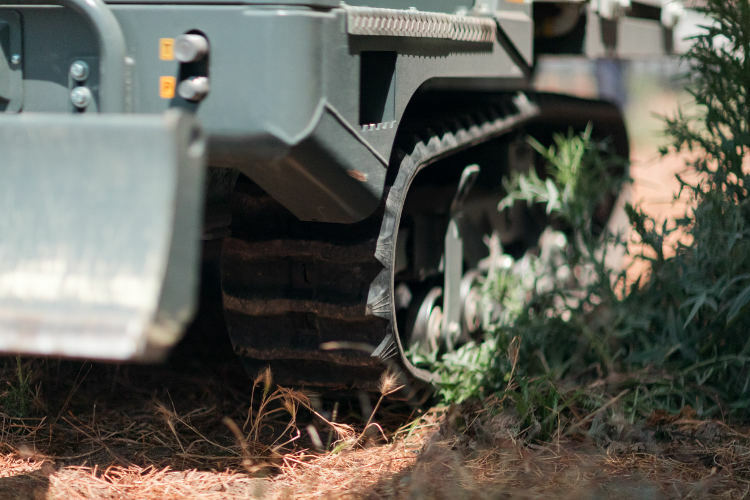 The ARServices company provides certainty for its customers and full cover for civil liability and material damage. 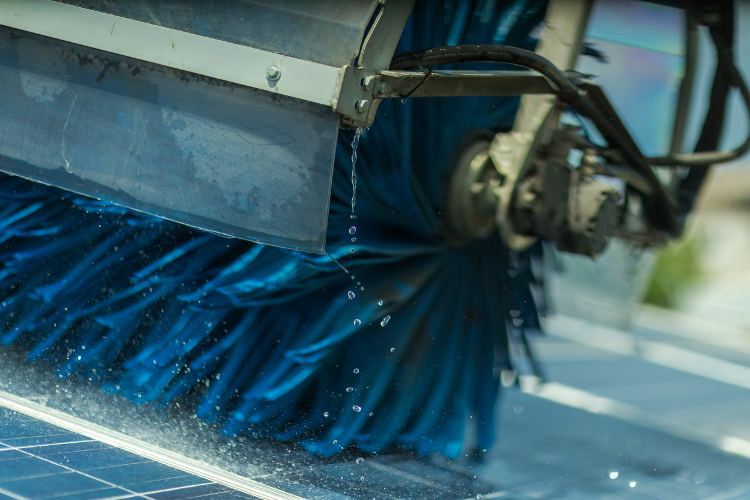 How often must the photovoltaic panels cleaning be made? 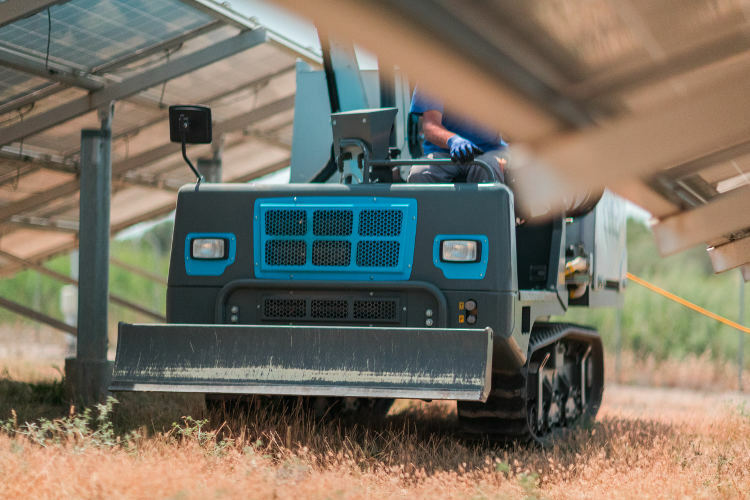 The photovoltaic panels cleaning is made primarily for the maximization of panel’s productivity, the performance of photovoltaic projects and the avoidance of damages, as well as the simultaneous assurance of panels guarantees provided by their manufacturers. 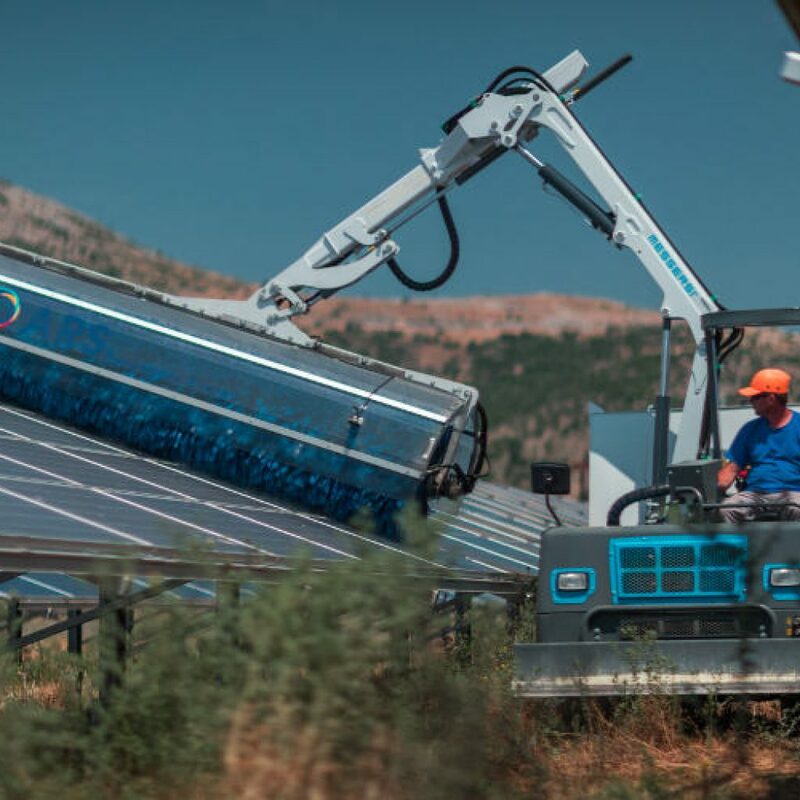 The pollutants remain in the crystal surface of the photovoltaic panels, they reduce the panel’s transmittance and limit the light refraction and the electrons collision with the surface of solar cells. 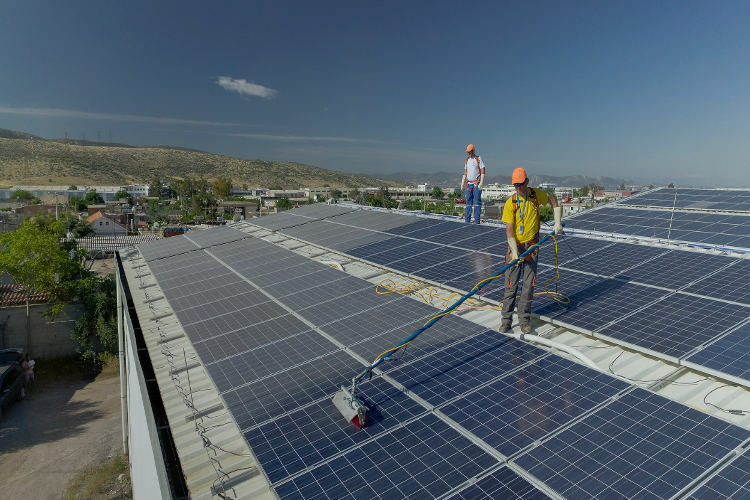 The frequency of pollutants accumulation on the surface of photovoltaic panels is interrelated directly with the environmental conditions prevailing in the wider area of the project. 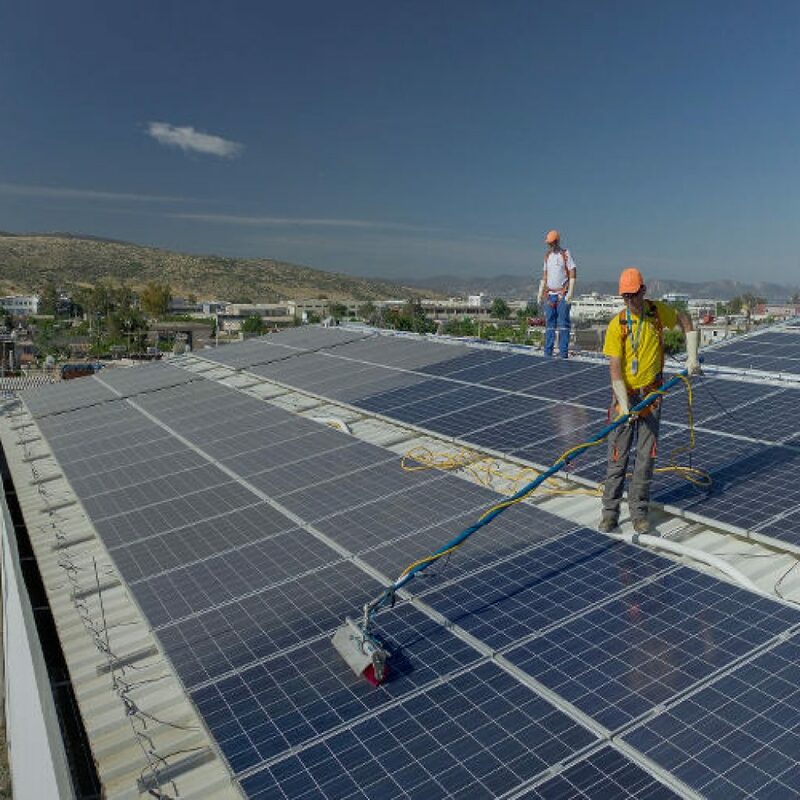 Moreover, other pollutants with high density, such as bird droppings or dirt, are deposited on the surface of photovoltaic panels and may cause hot-spot effect in the solar cells. 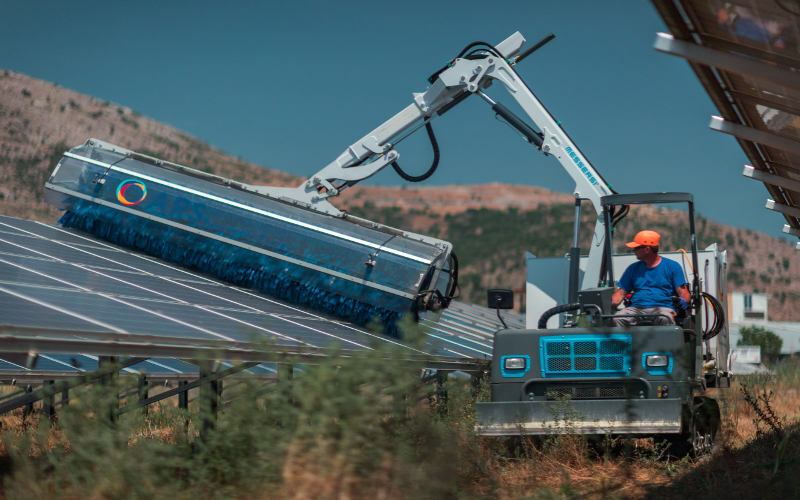 These pollutants shade the solar cell, and as a result its production becomes lower than normal, by creating reverse currents that cause the increased temperature on the particular point. 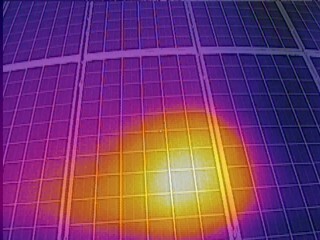 This phenomenon can easily be detected through a thermographic camera. 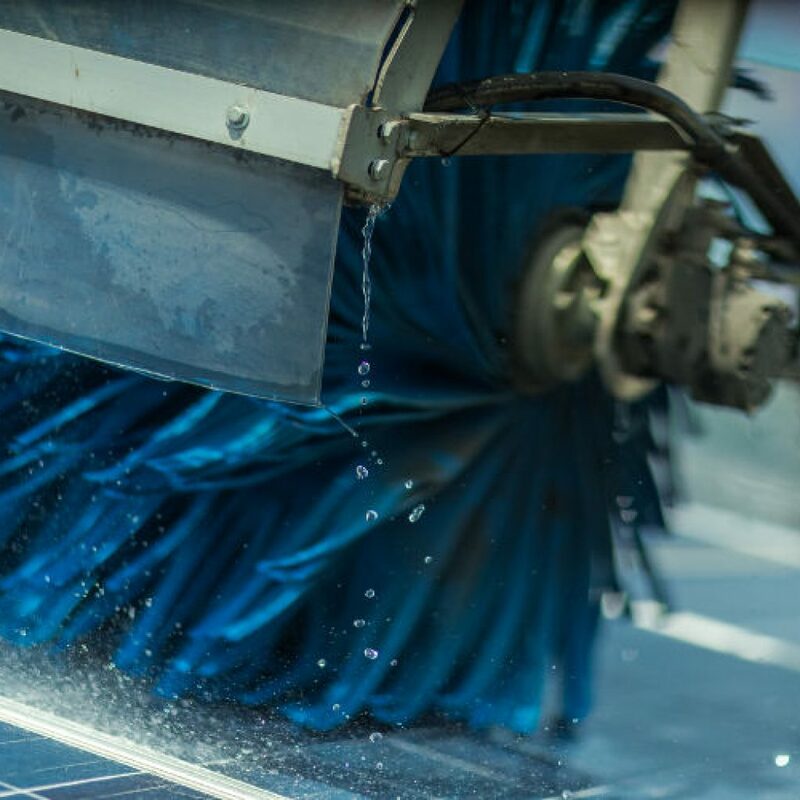 To avoid the above-mentioned effect, it is advisable that at least two cleaning procedures are implemented in the photovoltaic panels per year. The first cleaning is proposed on April or May, while the second one on July or August. 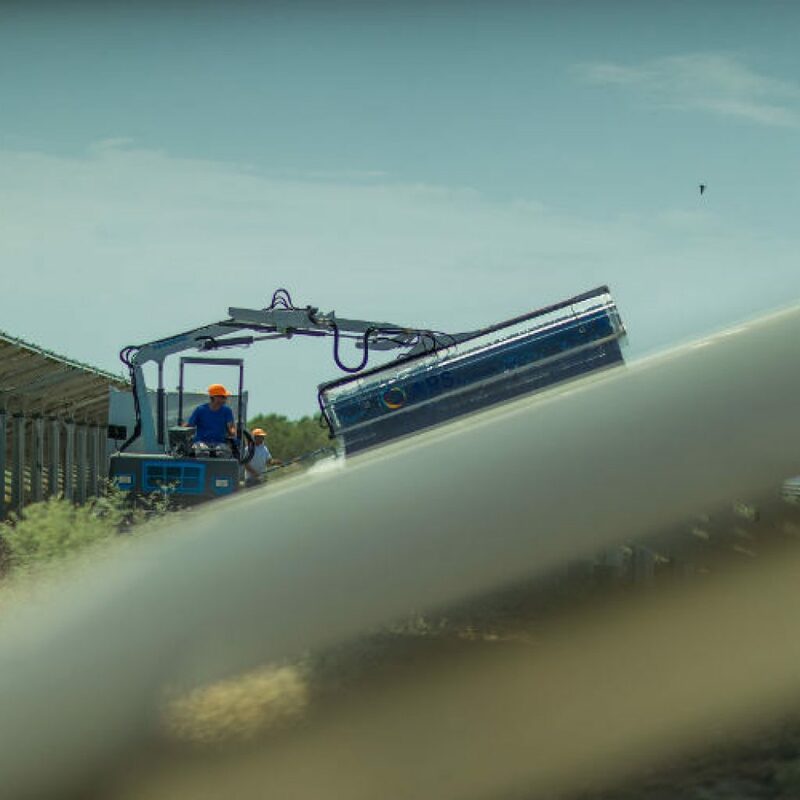 In this way, the radiation is used to the maximum possible extent during the summer months and the panels are maintained in a satisfied operational condition based on the guidelines of the manufacturers, by ensuring the validity of the guarantees.